CIA director nominee John Brennan during a meeting on Capitol Hill in Washington on Jan. 31, 2013. Amid new developments and revelations, President Barack Obama’s national security policies, past and future, are set to come under Senate scrutiny Thursday. 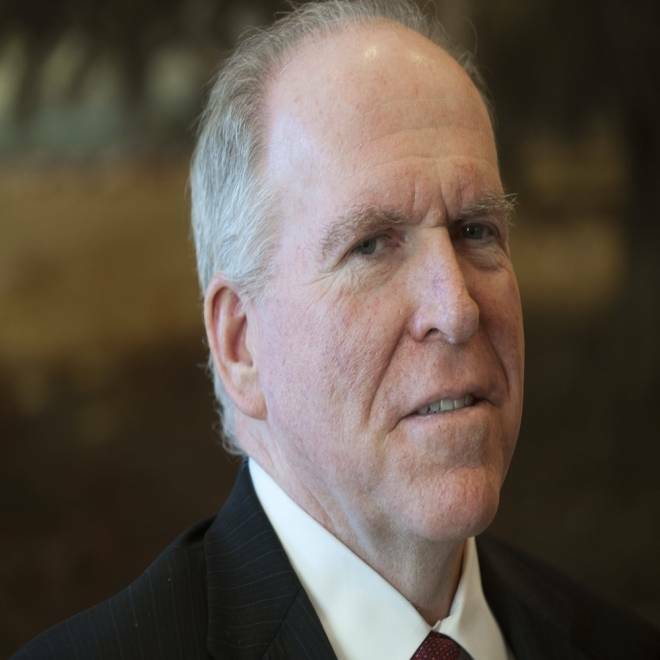 Most notably, Obama’s nominee to head the Central Intelligence Agency, John Brennan, will address what role the targeted killings of terrorists, either by using drone strikes or other means, have played and should play in national security policy. Questions about targeted killings intensified Monday after a report by NBC News revealed a Justice Department memo which argued it was lawful for the president to target U.S. citizens who are leaders of al-Qaida or “an associated force.” Brennan will be appearing before the Senate Intelligence Committee for his confirmation hearing. On Wednesday, an Obama administration official said the president had directed the Justice Department to give the congressional intelligence committees access to classified memos justifying the targeted killings policy. Until now the administration had refused to do this. Addressing the past on Thursday will be Defense Secretary Leon Panetta and Gen. Martin Dempsey, the chairman of the Joint Chiefs of Staff, as they testify before the Armed Services Committee about the Sept. 11, 2012 attack on the U.S. diplomatic mission in Benghazi. Senators on the panel -- especially Sen. Lindsey Graham, R-S.C. -- want to know how the U.S. military reacted to the attack, and what the Defense Department’s internal review revealed after the event. The two hearings will feature contrasting political color: Republicans -- led by Graham, Sen. John McCain of Arizona and Sen. Kelly Ayotte of New Hampshire -- have been the ones who have made an issue of the Benghazi attack almost since it took place. They’ve implied that a full accounting of what happened was delayed until after the presidential election. Graham held up Obama’s nomination of Chuck Hagel to be defense secretary until he could get a chance to question Panetta about Benghazi. But Obama’s drone policy -- directed largely by Brennan in his role as Obama’s counter-terrorism adviser -- has drawn criticism both from progressives on the left and those on the right who are fearful of an excessive concentration of power in the presidency. On Benghazi, much is already known. In its report on the attack, the Senate Homeland Security and Governmental Affairs Committee said last December that Panetta’s Defense Department and Hillary Clinton’s State Department hadn't jointly studied the availability of U.S. military forces to defend or rescue the U.S. diplomats in Benghazi in the event of a crisis. The Pentagon’s Africa Command didn’t have planes, helicopters, or other forces close to Benghazi on the day of the attack. “The Djibouti base was several thousand miles away. There was no Marine expeditionary unit, carrier group or a smaller group of U.S. ships closely located in the Mediterranean Sea that could have provided aerial or ground support or helped evacuate personnel from Benghazi,” the report said. Zenko noted that Panetta recently said that the Pentagon, not the CIA, should be conducting the drone strikes against al-Qaida suspects. But Zenko cautioned against those who would head into the Brennan hearing with high hopes for new information. Having read transcripts of the past 10 CIA director confirmation hearings, he said, “It would be unprecedented if there were an in-depth discussion about ongoing covert activities.” The Senate Intelligence Committee “simply doesn't work that way, especially under chairman Sen. (Dianne) Feinstein” of California, he said. A memo from the Justice Department, provided to NBC News, provides new information about the legal reasoning behind one of the Obama administration's controversial policies. NBC's Michael Isikoff reports. “That's a dangerous, antiseptic, and unrealistic conception of military force,” Zenko said. But Obama spokesman Jay Carney told reporters at a White House briefing Wednesday, “Far fewer civilians lose their lives in an effort to go after senior leadership in al-Qaida” by using drone attacks “as opposed to an effort to invade a country with hundreds and thousands of troops and take cities and towns.” Implication: if you want to avoid another Iraq or Afghanistan, then support Obama’s drone policy. Carney said Obama believes “that we need to move forward with more transparency as well as create, in his words, a legal framework around how these decisions are made.” But Obama believes he has the full constitutional authority to order targeted killings -- “transparency” or no transparency. Do the foreign policy costs of Obama’s use of drones -- alienating and angering people in Muslim countries -- outweigh its benefits? Does the drone policy suggest that Obama would rather kill jihadists than capture them? Adding more detainees to those already held at Guantanamo -- a facility he pledged to close but hasn’t -- could amount to a political public relations headache. Finally, Thursday’s Brennan hearing is a chance for senators on the panel to ask him whether Obama is using drone strikes as a less politically troublesome option than capturing detainees and putting them in Guantanamo. This is an argument that former Bush administration officials such as ex-CIA director Gen. Michael Hayden and former CIA legal counsel John Rizzo have made. But he warned, “We have made it so legally difficult and so politically dangerous to capture that it seems, from the outside looking in, that the default option is to take the terrorists off the battlefield in another sort of way” – in other words, by killing them. This could result in a loss of valuable intelligence.